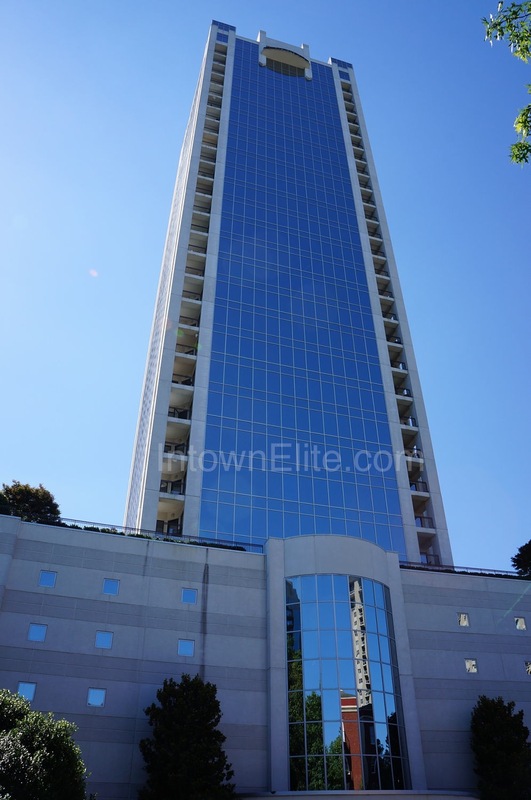 Designed by Womack + Hampton, 2828 Peachtree is a 32-story high-rise condo in central Buckhead. The building was opened in July of 2002 and contains 79 units with a maximum of four condos per floor. Each unit boasts walls of ceiling to floor windows and a private covered balcony that provide amazing views. There are five stories of covered garage parking and two high-speed elevators. Building amenities include terrace gardens and swimming pool on the sixth level, Cabana lounge room with catering kitchen, Library meeting room and fitness facility. The lobby, Cabana and Library are WiFi enabled. The Lobby includes a fireplace and reception area with 24-hour concierge service. 2828 Peachtree also provides for high-level security both inside and outside the building, with 61 digital security cameras, gated covered parking garage, and elevator security control system.